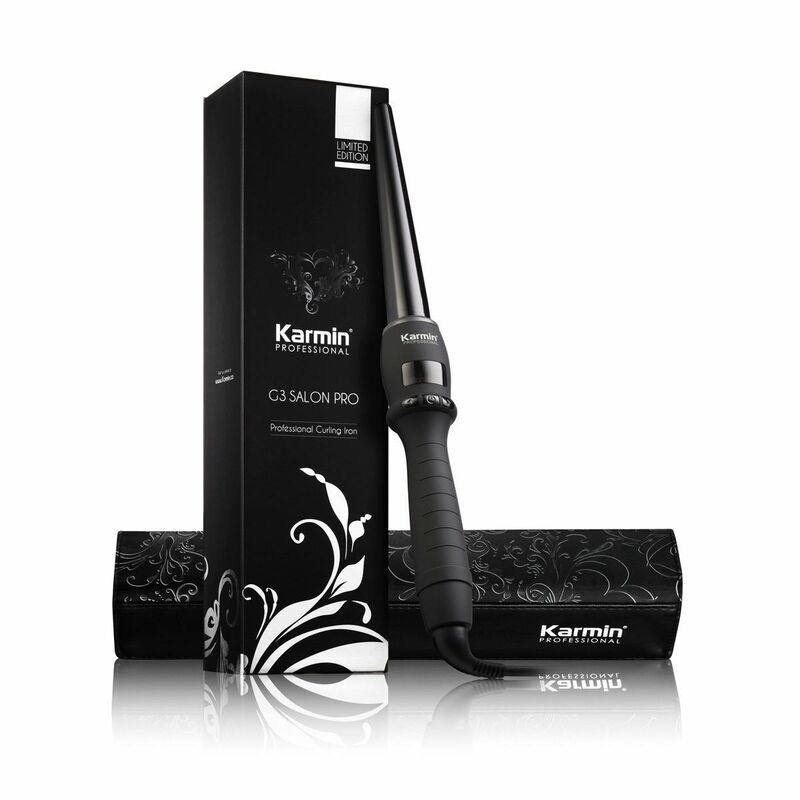 One of the most innovative hairstyling tools to be introduced to the hair industry, Karmin presents the new G3 Salon Pro Clipless Tourmaline Curling Wand. The clipless curling wand allows you to create flawless, natural looking curls and waves effortlessly and in less time than a conventional spring curling iron. When you wrap your hair around the exclusive ultra polished barrel of this curling wand you will be amazed with the results. Ceramic and tourmaline technology leave hair smooth, shiny and full of bounce, creating curly and wavy hairstyles that last all day. The temperature of 410F (210c) makes the Karmin Clipless Curling Wand perfect for all hair types and with features such as heat resistant grip, 3 meter swivel cord and PTC heater for quick and steady heat, it is the perfect curling wand for both the professional and home user. 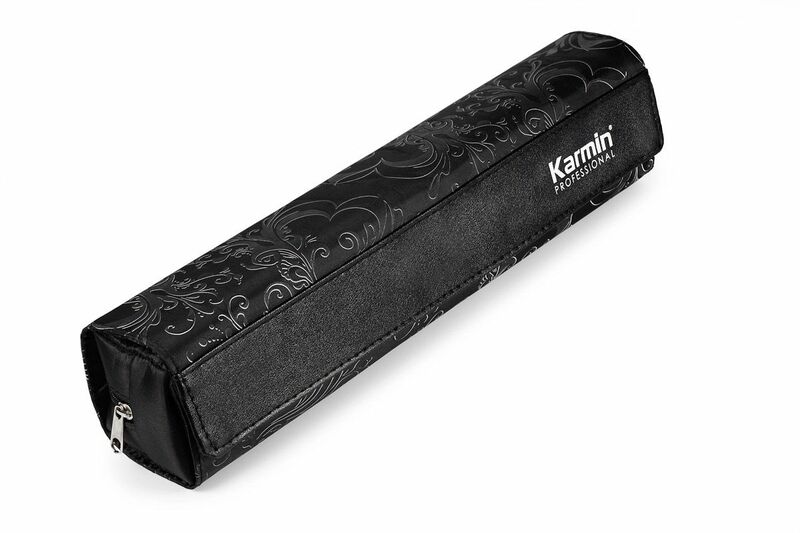 Start creating your natural looking waves and curls today with the Karmin G3 Salon Pro Tourmaline Clipless Curling Wand. The tapered barrel allows you to choose the size of your curls; wrap hair closely and tightly for smaller curls or loosely for larger curls. For voluminous waves, simply brush out the curls or use your fingers to break them up. One curling iron, endless options! 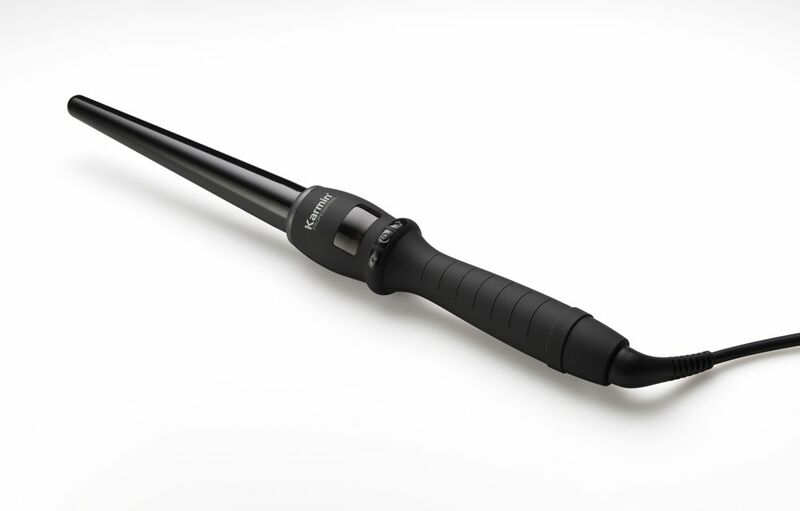 Worldwide Voltage 100-240V – Use your curling wand in any country. At my house there are 3 other girls who love styling their hairs, and each one of us has a different hair tool to share with the others. I bought this curler and we all love it because it is perfect to use no matter the hair texture. One of the things I like the most in an electronic device is a long term warranty, and this curling wand has a 2 year warranty which is so cool! I know I can safely use it and have a replacement even 2 years after the purchase! At my salon I only have hair tools with swivel cords, so I don’t get all tangled up while working. I really like this curler because of that great feature. I’ve always had curling irons which come with a single size barrel, but this curling wand with tapered barrel is spectacular, because I can have a lot of different hairstyles with different curl sizes. A hair tool with a fast heat-up time is what we all want, and this curling wand has a great ceramic heating barrel for this purpose. I save a lot of precious time with it. 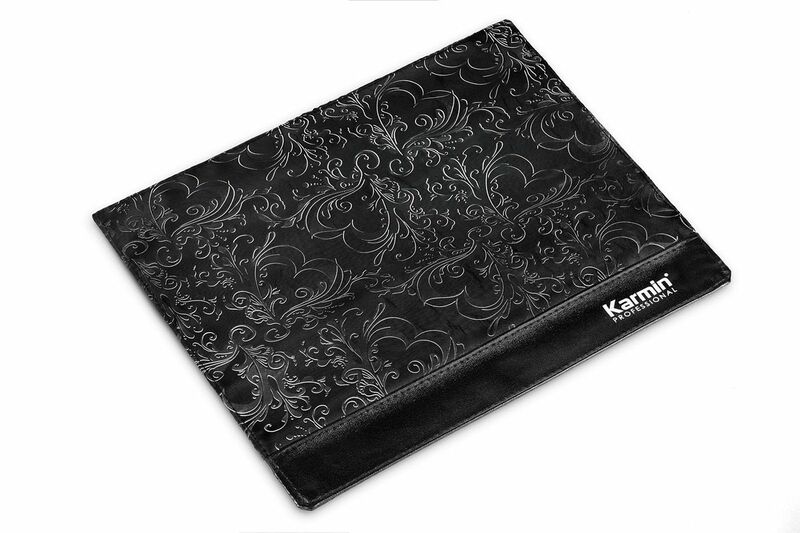 Tag your photos with #karming3curling on Instagram.